Our family loves Big Lots any time of year. Here are the deals they will be offering this year from Black Friday. 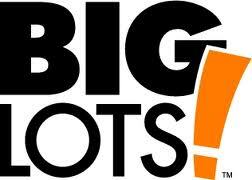 Big Lots will be open from 7a-8p on Thanksgiving Day. They will open at 6a on Friday morning. Crystal & Co., has covered all of the major Black Friday Store Deals. Check them out.